How can he rescue her when she doesn’t want him to? Can't help but love a good P&P variation and this was a freebie on Amazon, so I couldn't resist picking this one up. The story starts out with Mr. Collins proposing to Elizabeth. Instead of denying him, Elizabeth has to say yes. Why? Well - her dad is dying and this is best for the family. At the same time Mr. Darcy is having internal conflict about what he should or shouldn't do about his feelings for Elizabeth. Of course he finds out she is proposed to the idiot Mr. Collins and decides that he needs to save her from Mr. Collins gross embrace. What an interesting turn of story. Kuddos to Elizabeth for doing what, at the time, is best for the family. 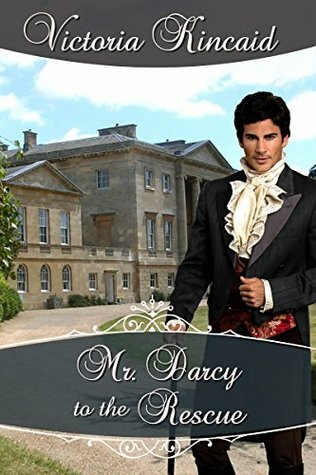 I'm glad it forced Mr. Darcy's hand to move up his plans and try and win her. This was a fun, light read. Poor Darcy is so in love with Elizabeth and it broke my heart. However, I really feel that Darcy was not-so Darcyie. He was like a teenage boy drooling over Elizabeth and pinning for her ALL DAY. I grew to like him, but I was annoyed with him at first. The ending was the best. I loved when Darcy taught Mr. Collins a lesson. It was great...I huzzahed at the end. Overall, this was a fun read. It took a bit for me to get used to this version of Darcy. I recommend giving this a read if you are looking for a short and fun P&P variation. Out of five stars, I shall give this 4 stars.